I have been combining Paul on the island of Malta and his time in Rome because of time constraints. So, this post contains a combined lesson, visuals and worksheets for this combination. Last week Paul was sent to Rome to go before Caesar. He used his Roman citizenship and said “I appeal to Caesar.” Julius the Centurion was put in charge of getting Paul to Rome. With Autumn storms at sea, they had to stop and let the storms pass and then more storms came, so the seas were so rough, they didn’t go very far. They didn’t even eat. Remember, Luke said WE didn't see the sun or moon. But after 14 days, they saw land. Paul took bread, said a prayer and everyone ate so they’d have strength to swim to shore. Julius said to unchain the prisoners so everyone would be able to swim. They hit a sandbar and huge waves rolled over the ship and the boat cracked in half! Everyone (276 people) swam to shore and the ones that couldn’t swim, used the broken pieces of the ship to get to shore. The people on the island of Malta built a bonfire and gave them food. The island was called Melita, which is now called Malta. It means honey in Greek because they were known for making honey. 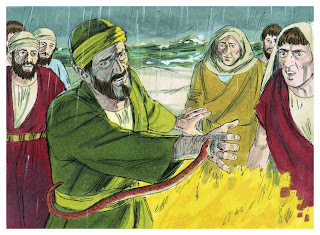 When the people saw Paul get bit by the snake, they started talking among themselves. The people were thinking that if Paul was a murderer, (they assumed this since he was a prisoner), and he didn’t die in the storms at sea, now he is bitten by a poisonous snake, how is he still alive?? Paul shook off the snake. The people were watching Paul and waiting for him to start swelling up and fall over dead from the snake bite. When he didn’t they all thought he must be a god (small g) to survive that! On the island, the chief man, probably governor, Publius, let them stay at his house for three days. His father was sick and had a fever. 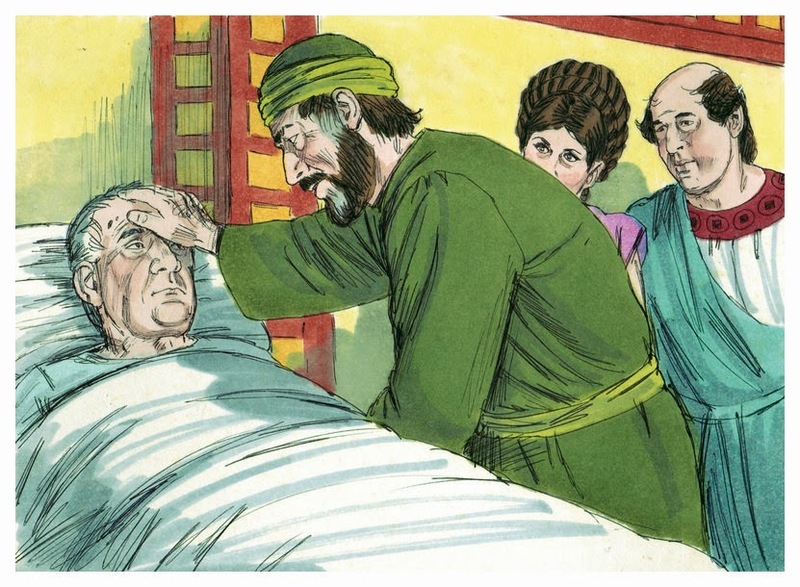 Paul went into his room where he was laying and prayed and laid his hands on him and healed him. When other people heard about this, they went to see Paul. They wanted to be healed also! 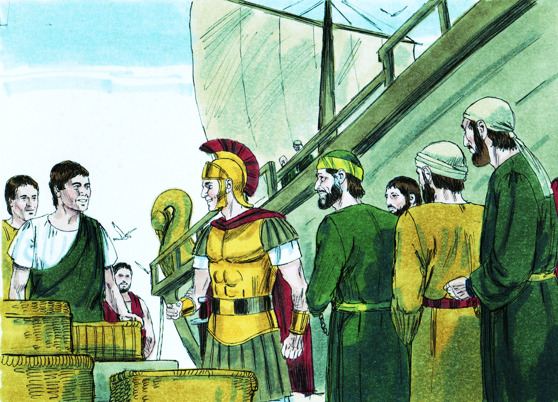 In January and after being on the island for three months, the people gave Paul and the travelers gifts and gave them a ship and the necessary items to travel again. They stopped a couple of places on the way to Rome and when they arrived, Paul was handed over to the captain of the guard. 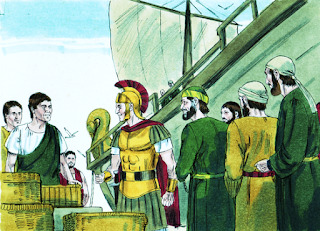 Paul was permitted to stay by himself with a guard. After three days, Paul called the chief of the Jews together. He explained what had happened to him, why he was a prisoner and how they should have let him go but didn’t. Because of that, he had appealed to Caesar. Paul explained to them about Jesus. Some of them believed and some did not. 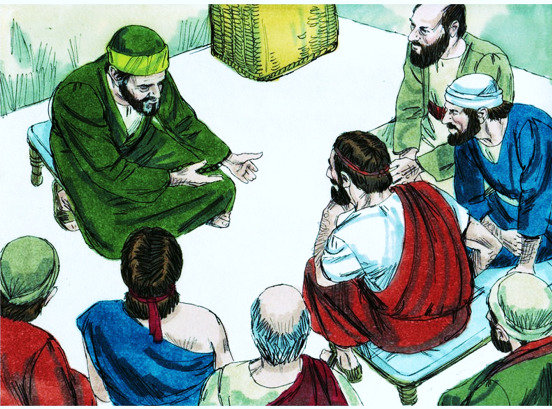 After Paul talked to them, the Jews left and had long discussions about what Paul had told them. 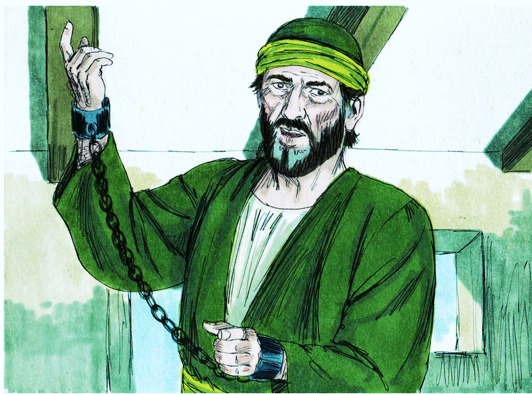 For two years, Paul lived in his own house, he was allowed to hire people to live in the house with him, but he was still a prisoner. People came to his house to listen to his instruction about Jesus. Paul wrote the books of Colossians, Philemon, Ephesians and Philippians while he was a prisoner in Rome. Lesson found in Acts 27-28. I did a different easier twist with the pretzels for this class. I couldn't find the huge pretzel sticks I usually use, so I purchased the biggest ones they had. I used snakes I found here. I laid a couple of pretzels at each students place. I laid a snake on the pretzels and laid more pretzels on the pile. They were just as thrilled and it was so much easier than putting them together. The top portion of this worksheet is a review. The lower part is an application discussion starter question. This includes the color and black & white worksheet and the teacher's answer sheet. Click here for the teacher's visuals. 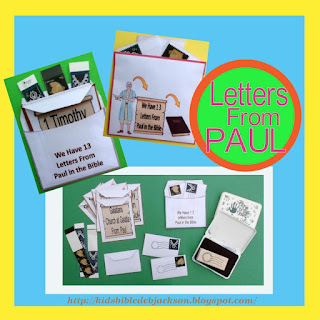 Click here to see the above Letters From Paul set of letter printables. Click here to see the lesson for Malta or click here for Rome.